Just a short hop across the Channel, the Domaine de Drancourt Campsite offers you the chance to experience the authentic French countryside, in the gardens of a chateau. Domaine de Drancourt Campsite is a premier luxury camping sites; contact LUX-camp for more information or to have any questions answered. 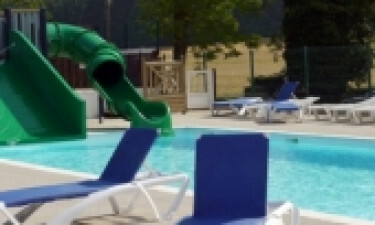 Why should I choose the Domaine de Drancourt Campsite? The town of St Valery sur Somme is beautiful and has a steam railway that is ideal for a family day out. Amiens is also very interesting to explore with its lovely zoo, as is Le Touquet, which has an excellent beach. For an unforgettable day out, you could always visit Disneyland Paris, which is a long drive but doable in a day. 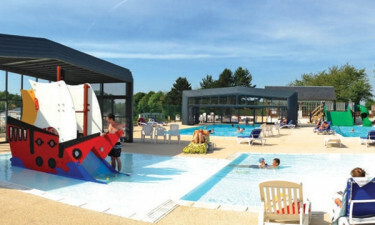 At the Domaine de Drancourt Campsite, you can choose from a range of luxury camping accommodation, such as mobile homes. Everything is kept clean and sparkling, including the communal shower blocks and toilet facilities, so you can fully enjoy your camping holiday. Gas and charcoal barbecues are provided free of charge, and duvets and linen can be hired to save you the bother of bringing your own. Our site is quiet and family-friendly; it is also spacious and never feels overcrowded. Our swimming pools are always a big hit with children and adults alike. The pools are great, with two being under cover. The 'outdoor' pool has a couple of slides that keeps children very happy and busy. 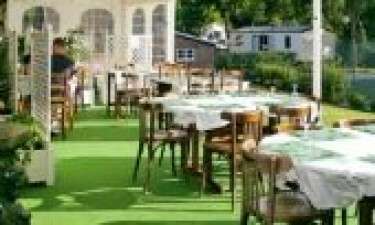 You can hire go karts, play crazy golf for free, and there is a nice tennis court that is also free to book and use rackets. The kids clubs are available at the height of the season. Evening entertainment is highly recommended, particularly the staff show! Pony rides at the adjacent stables are surprisingly affordable and make a wonderful activity for children and pony lovers of all ages. There is free WiFi around the bar area. We have a small on-site shop for fresh bread and bits and pieces, and a large Carrefour down the road. The pretty harbour town of St Valery sur Somme, which is only a short cycle ride away, has a Lidl and a hypermarket. There is a restaurant on site and a takeaway service, as well as a small bar, next to the stables, serving cold beers and snacks.